Rattled by tight credit and rising default rates, lenders are reducing the amount of money they will loan toward a car purchase. The policy is costing dealers finance and insurance income. In some cases it's also costing them car sales. Customers must cough up heftier down payments, settle for a less expensive vehicle or drop pricey products such as extended service plans, dealers say. In some cases, they simply walk. "A year ago, if a buyer could fog a mirror they could get a loan," says Dale Willey, owner of Dale Willey Automotive in Lawrence, Kan. "Today, much has changed." The advance rate — the amount lenders are willing to finance —usually is expressed as a percentage of a new vehicle's invoice price. In more generous times, some lenders even funded a percentage of the sticker price. Dealers say lenders now typically advance 80 to 120 percent of a new vehicle's invoice price, depending on credit risk. Early last year, advances ranged from 110 to 180 percent of invoice. "This is certainly one of the factors putting pressure on retail sales," says Greg Zulli, director of financial services for Asbury Automotive Group in Atlanta. Dealers see similar advance-rate reductions on used vehicles. "Honda, Toyota and some noncaptive lenders are using Black Book instead of NADA book," says George Liang, senior vice president of DCH Auto Group in South Amboy, N.J. "Since the price in Black Book in general is lower than NADA, there is a 10 percent reduction in advance as a result." 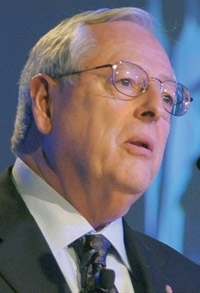 Fritz Hitchcock, CEO of Hitchcock Automotive Resources, operates three Toyota and two BMW dealerships in the Los Angeles area. His finance and insurance income has dipped to $1,400 per vehicle sold, down from $1,600 a year ago. "Customers are buying fewer accessories — anything from bigger tires and wheels to extended service contracts and security devices," Hitchcock says. BMW Financial Services used to advance 125 percent of invoice toward the vehicle and provide additional funds for aftermarket products, says Peter Boesen, general manager of South Bay BMW in Torrance, Calif., near Los Angeles. Now it advances up to 130 percent of invoice toward both the vehicle and aftermarket items, as long as the customer has good credit. Customers with poor credit obtain advances of only 90 percent of invoice to cover the vehicle and aftermarket purchases. Joe Jankowski is CEO of Schaefer and Strohminger, a Baltimore dealership group. His stores are still selling F&I products, but at reduced prices. The lower advance rates are killing some deals, he says. "They (lenders) might allow only $2,000 instead of $2,500 on a service contract, but you can certainly sell it," Jankowski says. "The real issue is getting people bought, period. Negative equity is a serious problem. If the customer can't come up with the cash, you don't have a deal." Jankowski notes many customers also are trading down to a lower-end vehicle. "Before, they wanted to drive an Accord, but a Civic fits their budget," he says. "That's where my opportunity is." Sid DeBoer, CEO of Lithia Motors Inc., in Medford, Ore., says advance rates shrank most dramatically for customers with bad credit. "We have not done a lot of business with them," DeBoer says. "Advance rates haven't declined materially for us." Still, Lithia's F&I income per unit retailed dropped $42 to $1,086 year-over-year in the fourth quarter of 2008. Julie Westermann, a spokeswoman for Bank of America, says the bank is still advancing up to 120 percent of dealer cost, but the higher advances are available only for borrowers with excellent credit. 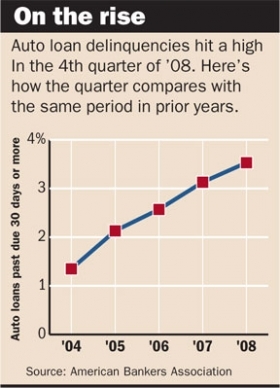 Bank of America's average advance rate dropped to 98 percent, down from 108 percent last year. Dealer Fritz Hitchcocks F&I income has fallen $200 a vehicle from a year ago. He sells fewer add-ons such as aftermarket wheels and service contracts. Behind the lenders' shrinking advance rates are mounting repossessions. More customers are defaulting on their loans, and the loss per repossessed vehicle has risen because used-car prices have declined. A lender can't hope to recoup much money by auctioning off a repossessed car. So the banks are reducing their risk by requiring higher down payments. "Both the frequency and severity of loss is going up," says Mark Pregmon, executive vice president of consumer lending for SunTrust Banks. 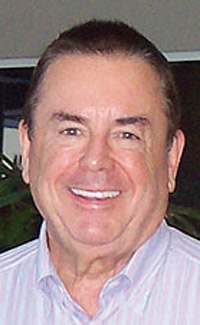 Pregmon is chairman of the Consumer Bankers Association's auto finance committee. Indeed, the percentage of auto loans made through dealers that are 30 days or more past due reached an 18-year high at the end of last year, the American Bankers Association reports. In the fourth quarter of 2008 — the most recent period for which data is available — the delinquency rate was 3.53 percent. "The wheels just fell off the economy in the fourth quarter of 2008," says the association's chief economist James Chessen. "The U.S. economy lost nearly three million jobs in 2008, with nearly 2 million of them occurring in the fourth quarter." There are a few good signs for dealers. Residual values of used cars are stabilizing, which reduces the financial burden on upside-down customers. Moreover, some lenders, such as GMAC Financial Services, recently have eased their standards slightly, making more loans to customers with subprime credit. "We did cap advance rates to 100 percent of invoice back toward the end of 2008 when we implemented a more conservative purchase policy, says Mike Stoller, a spokesman for GMAC. "But that has been relaxed as well, and we are back to a more normal range." But because of the downturn's severity, dealers and lenders say the credit squeeze will continue. Says Pregmon: "It will change when the economic environment improves."